Our day camp schedules are packed with court games and activities — because that’s what kids love best. 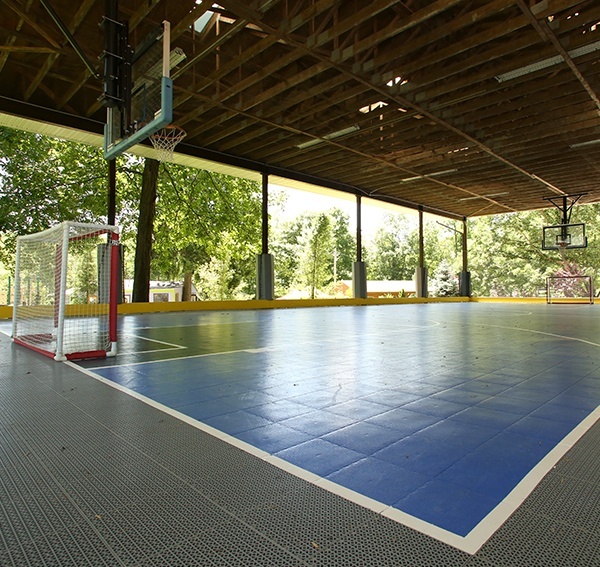 In addition to our many outdoor courts we have covered ones too, so even rainy days can be filled with our campers’ favorite activities. 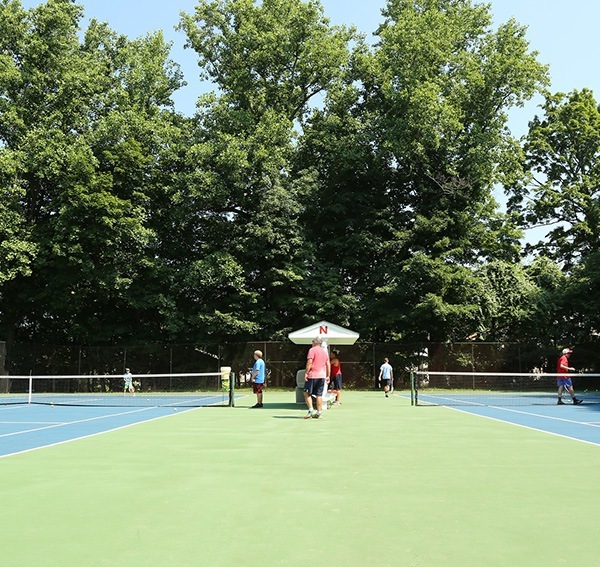 3 tennis courts; one is mainly used for ‘under 10’ tennis. 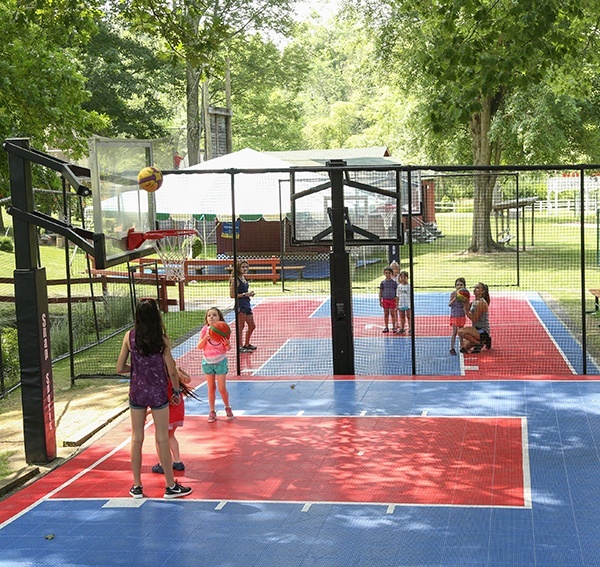 5 age/size-appropriate basketball courts: two with 7ft high hoops and smaller balls for pre-K and Junior campers; one with 9ft high hoops; and two with 10ft high hoops for the big kids.